Variety of loans available, Conventional, Jumbo Loans, Rural Development, FIXED, ARMS, First Time Home Buyers. Local Processing, Fast Approvals. Rates are not guaranteed and are subject to change without notice. Rate is locked with signed Purchase Agreement and Mortgage Application. All loan applications subject to credit and property approval, rates are subject to credit scoring. Maximum loan limits and minimum down payment requirements are applicable. * Rates and Annual Percentage Rate (APR) are illustrated for a $150,000 conventional purchase mortgage with 20% down payment and assumes an additional 1% origination fee with no discount points. 30-day lock. Conforming loan amounts are less than or equal to $453,100. Call for quotes on Jumbo Loans. 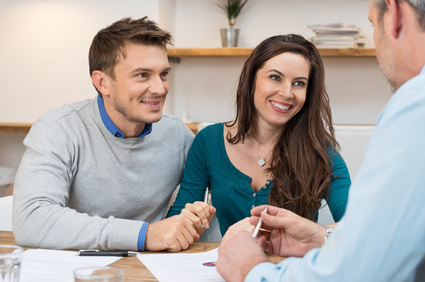 Certain closing costs are included in the APR. Your APR may vary based upon your final loan amount and finance charge.